Students at Esquimalt High School frequently participate in international student exchanges. Students and staff appreciate the many opportunities for cultural and linguistic enrichment these exchanges provide for the students who participate directly and the rest of the school community. OSEF (Organisme de Séjours Educatifs Français), promotes linguistic and cultural exchanges between France, Belgium, Spain and Luxembourg, and English speaking provinces in Canada. OSEF coordinates summer exchanges lasting one month and 6, 9 & 11 week programs. During the longer exchanges European students stay in Canada from mid-August until the beginning of November and Canadian students travel to Europe from February until the end of April. 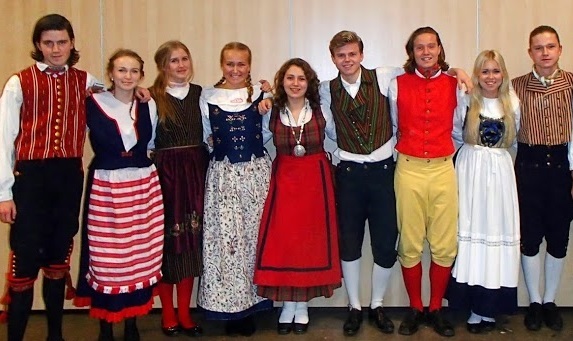 Rotary Youth Exchange students spend up to a year living with host families and attending school in a different country. Students learn about themselves, a new way of living and maybe even a new language. Students become ambassadors, teaching people about their countries, cultures, and ideas. Rotary has organized exchanges for over 75 years involving more than 80 countries and over 8,000 students each year. For more information go to www.rotary.org, contact a local Rotary Club or talk to Mrs. Hoffman, one of Esquimalt High School’s counsellors.